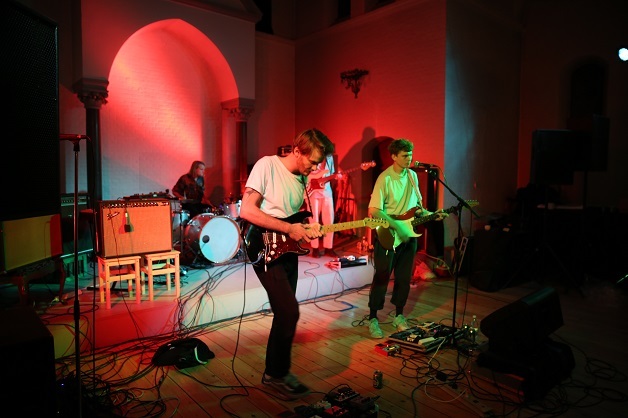 This smaller Nørrebro festival only had its first run last year but both then and now, the line-up has been interesting enough to pique our interest here at Rockfreaks. 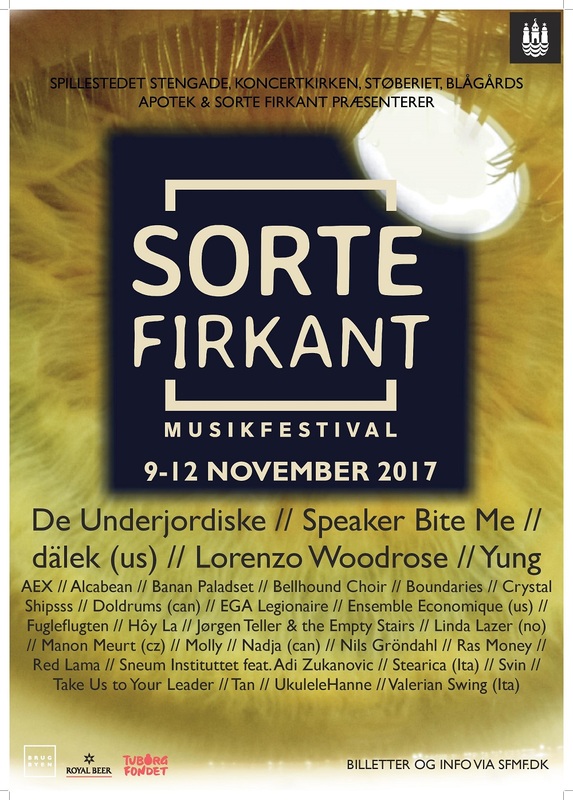 The 2017 edition (see the poster below) has its share of experimental and post-rock related international as well as local names and yet others with a shared passion for painting big soundscapes and flirting with noise elements - not least due to the involvement of one of the forces that's also behind A Colossal Weekend. 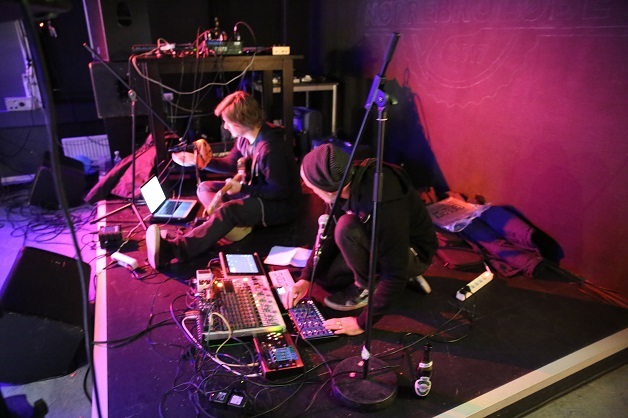 The Danish alternative rock band Boundaries have canceled their appearance a couple of days before the festival due to illness but otherwise, the schedule holds true. In fact, there are more interesting names on the roster than I can make time to watch properly so the reviews below reflect personal priorities. For the uninitiated, the festival takes place at a number of local venues all situated close to Blågårds Plads. KoncertKirken and Stengade are the biggest venues while Støberiet, Blågårds Apotek, and the Sorte Firkant café are all smaller places. Stengade has a regular stage lifted from the floor while the remaining places have their bands playing more or less face to face with their audience, creating intimate atmospheres. 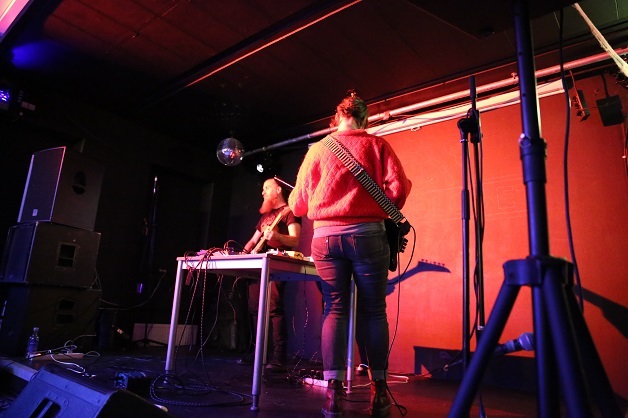 The two latter ones, regularly open as a bar and a café, mostly have guests present who aren't out specifically for the festival meaning that the acts playing there usually have a solid, albeit talkative, audience while it's more varied at the other venues. Especially on the Saturday, the eternal struggle of having to fight with a national soccer match (Denmark vs. Ireland) for attention and time means that several of the shows have very few audience members attending. This is of course a shame to me when I know several of the bands to be excellent live. It gives some shows a bit of a dull atmosphere while also disabling some of the traditional dynamics of a gig, making it a bit redundant to review them as such but more about that in the relevant reviews. As a Nørrebro-resident myself, I then took it upon me to review as many relevant bands from the 4-day festival as possible. On the festival's first day, Thursday, only Stengade had shows as a kind of pre-festival day, while the Sunday featured just one longer matinée set. The following reviews are thus mainly from the Friday and Saturday of this November weekend and cover almost all the most rock-related acts with the notable exceptions of Lorenzo Woodrose, Molly and Bellhound Choir.